Constant-flow fog nozzle is constructed of red polycarbonate with black plastic and steel stem, and includes a rubber bumper guard. The tip twist adjustment provides consistent volume at any spray angle and adjusts from straight stream to fog. 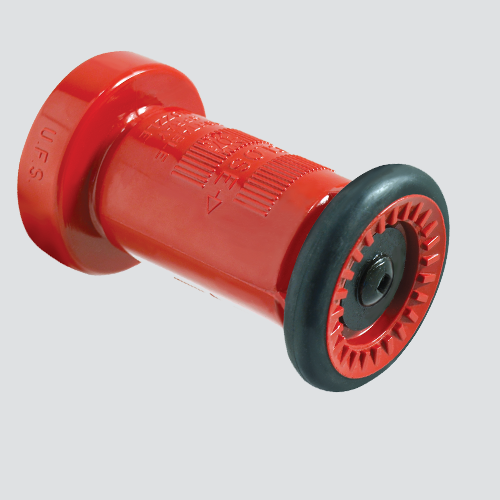 Nozzle is commonly used for washdown, construction, industrial, agricultural, and municipal applications.